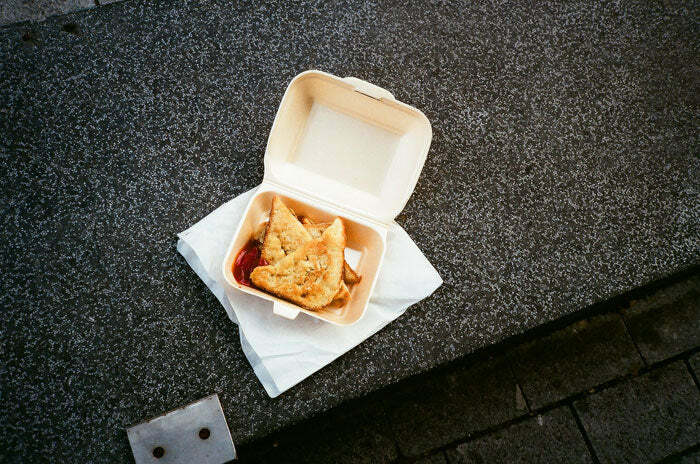 For this radical new series, we’re going to take a hearty bite out of the fine establishments that feeds Manchester’s collective stomach. 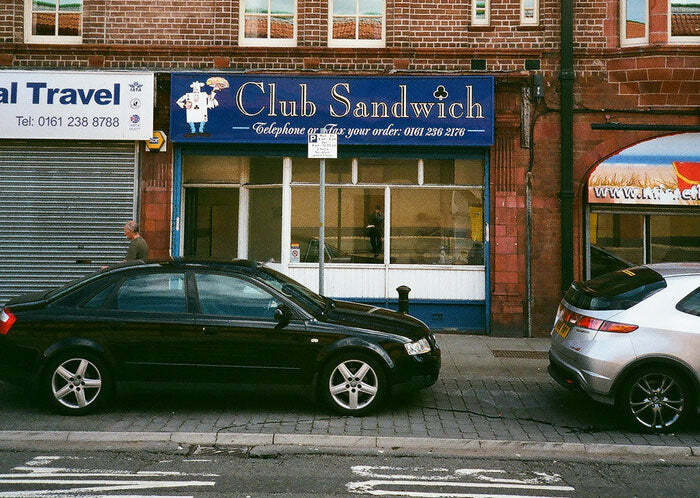 First up, let’s take a wander up Oldham Road to a little place known as Club Sandwich. 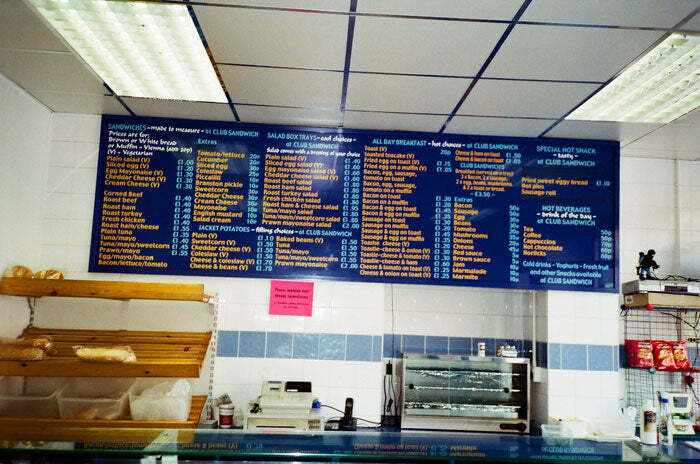 Sadly neither the helpful woman behind the counter or the mysterious man in the kitchen wanted their photo taken, so you’re going to have to make do with a shady picture of the menu — but what a menu it is. As the name probably suggests, Club Sandwich deals in sandwiches. Tuna, beef, egg… all the classics are there, and very nice they are too. But where Club Sandwich really excels is in that seldom-spoken-of food group known as eggy-bread (or French toast, as snobs like to call it). I once met a man who claimed all he ever ate was eggy-bread. I’m not sure what a doctor would make of this, but judging by the fact he was clutching a bottle of Lambrini and wearing a dressing gown around town, it clearly worked for him. He also advised me that I should probably give my hands a good scrubbing after I shook his hand. I took his advice. Let’s not get side-tracked though. Whilst the egg-soaked-bread is advertised on the menu as a sweet treat, I usually opt to eat it with salt and ketchup, and the results are quite something. It also only costs £1.10, meaning I can save my pennies for more exciting things like chocolate bars. 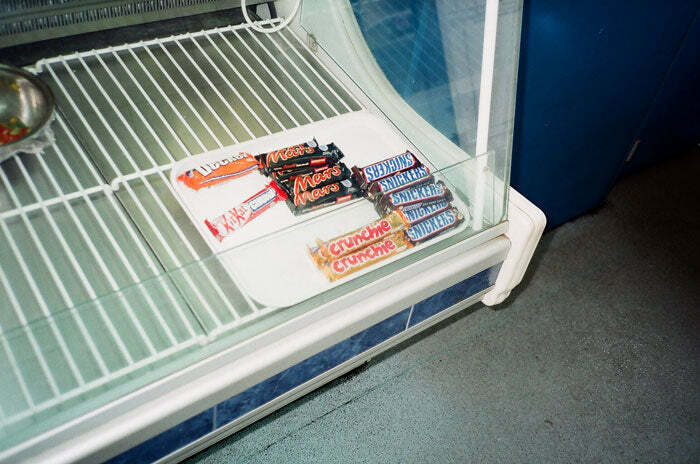 Talking of chocolate bars, Club Sandwich doesn’t have a bad range of the little beauties. And don’t worry if you’re looking for something a bit more niche than the big five, there’s a pretty good newsagents just up the road that sells everything from Turkish Delights to Chomps. Anyway, back to the matter at hand — it’s worth knowing that orders can be faxed in to Club Sandwich. At most I’ve only ever had to wait five minutes for my eggy-bread, but if you’re planning on placing quite a technical sandwich order, this is definitely be worth bearing in mind. And whilst you’re in the area, why not delve inside the world famous Mustard Tree? They’ve got furniture, they’ve got clothes, they’ve even got free loaves of bread for those who can’t afford to dine out at swanky places like Club Sandwich. Definitely worth a look. RATING: A good menu at good prices in a good location, I give Club Sandwich five squirts of diluted ketchup out of five.